Java Control Statements, Control statements are makes the developer to change the flow of code execution that altering the normal program flow to jump directly on some statement. 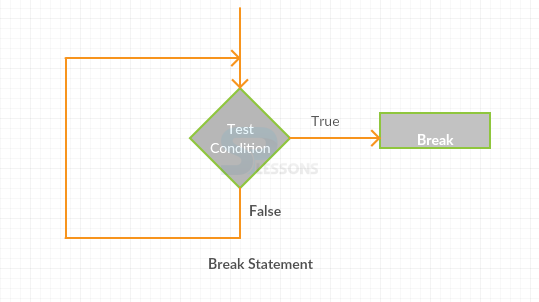 Control statements can be divided as three types as follows. 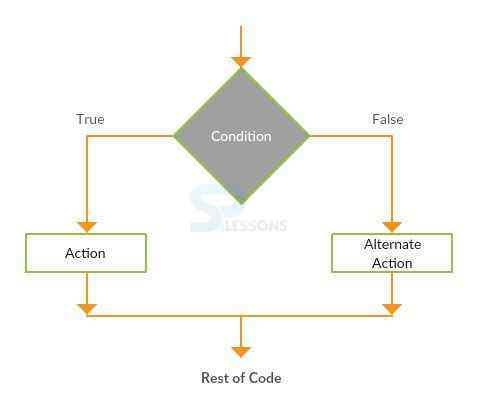 Java Control Statements, Decision making statements are utilized to test the program condition, following are the some statements. If statement is used to return the true value, following is the conceptual figure which can guide simply. In the following figure if condition is true then it goes for action otherwise it checks for the alternative action finally code will be closed. Following is an example to understand the if statement. To know the logic behind leap year program two rules need to be remember as follows. Rule 1: A year is called leap year if it is divisible by 400 such as 1600, 2000 etc. Rule 2: If year is not divisible by 400 as well as 100 but it is divisible by 4 then that year are also leap year such as 2004, 2008, 1012 etc. Now Splessons will explain the above example with if else statement. The following is the syntax for the if else condition. The following are the some differences between if and else if. The if condition is mandatory for a conditional construct. An else if condition cannot exist without a preceding if block. User can have only one “if” block but multiple “else if” blocks. The switch statement is executes one statement from multiple conditions. Following is the conceptual figure to under stand the switch concept. In the following figure compiler checks the every condition if it is true prints the statement otherwise checks the case until find the solution. When compile the code following is an example. The following are the features of switch case. It assesses the value of an expression and a piece of code is chosen on the premise of that assessed expression. Each case alludes back to the first expression. The data type that can be utilized as a part of switch expression is integer only. Loop statements are utilized to execute the repeatedly. 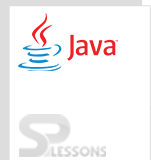 Following are the Java loop statements. 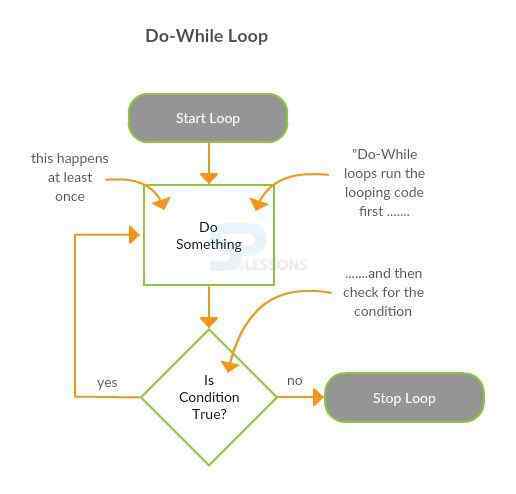 While loop is utilized to iterate the code several times, in this scenario it will be used. 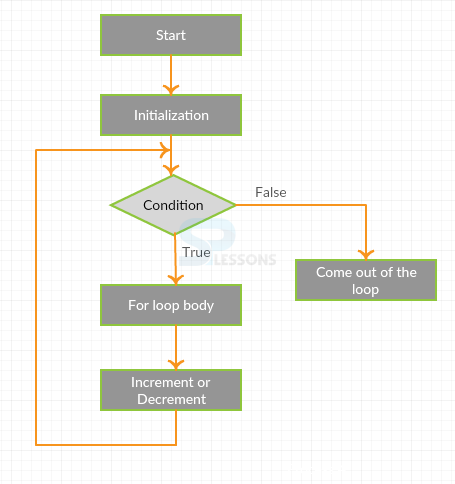 Following is the conceptual figure which explains the while loop functionality. Following is an example which describes more about the while loop. 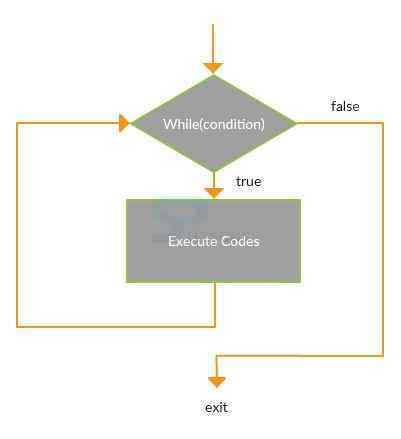 Java Control Statements, It is utilized to ensure that body of the loop executes at least once. Following is the conceptual figure which describes the functionality of Do-While functionality. Following is an example which describes the functionality of Do-While. When compile the code following the output will be displayed. For loop is utilized to repeat the particular block of the code several times. The following is an example to print a pyramid by using for loop. In the above example, the java.util.Scanner class is a straightforward content scanner which can parse primitive sorts and strings utilizing expressions. Branching statements are used to transfer the control to another point in the code.Java will have three branching statements such as Break, Continue, Return. Break is used to stop the current flow execution of the code, in generally switch case break will be used. Following is the conceptual figure. 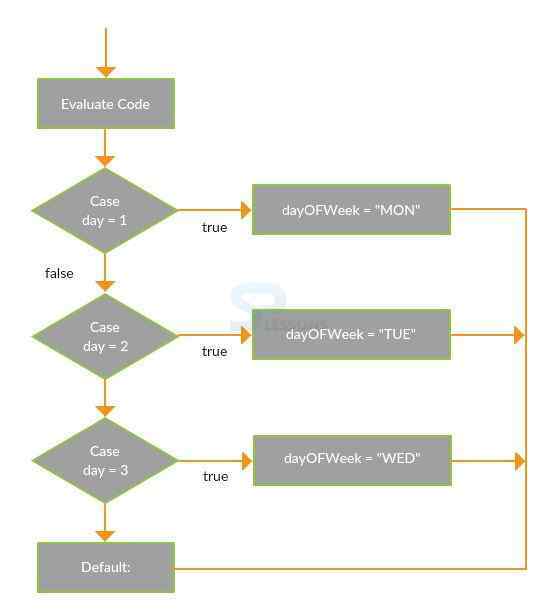 Continue statement is utilized to continue the flow of the code. Following is an example. To repeat the flow of code for loop will be used. While using multiple conditions switch statement will be used.